Hyatt Regency Incheon has appointed Kai Speth as its new General Manager, with effect from January 15, 2007. Mr. Speth has held a variety of positions in the Food & Beverage field at Hyatt International properties since 1996, including at Grand Hyatt Seoul, Grand Hyatt Bali, Grand Hyatt Taipei, and Park Hyatt Beaver Creek Resort & Spa. 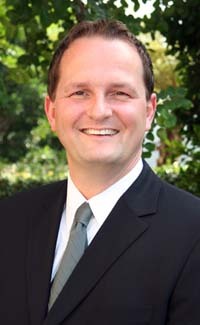 In 2005, he was named General Manager of Park Hyatt Beaver Creek Resort & Spa and, in 2006, moved to a similar position at Park Hyatt Los Angeles. Speth notes of his new appointment, "Korea is very special to me. I worked at Grand Hyatt Seoul 11 years ago and have a Korean wife. I am very excited to work with my friendly and passionate Korean colleagues at Hyatt Regency Incheon." Speth believes that, having spent his entire career with Hyatt, his experience and background will bring innovations in his newest assignment in Incheon, Korea. Hyatt Regency Incheon is located conveniently near the Incheon International Airport.